Travelodge, the Dubai-owned budget hotel group, is getting even more business traveller oriented and has now issued a list of new UK hotel openings near or just by airports and ferry terminals. Major intercity railway stations will no doubt follow. 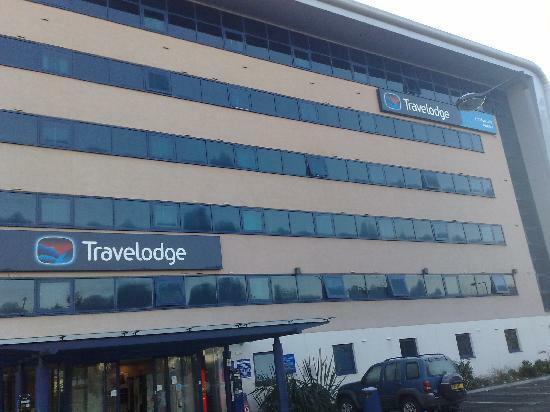 In 2010 Travelodge opened the following properties, best described as airport adjacent: Bournemouth Cooper Dean (28 rooms), Cardiff Airport (28 rooms), Newcastle Airport (30 rooms) and Stansted Bishops Stortford (70 rooms). On the port/ferry terminal front Plymouth Derriford is operational (75 rooms), as is Roborough (40 rooms) which also serves the airport. At Portsmouth, Hilsea has 33 rooms and is close to the city's Continental Terminal. China will add more than 45 airports over the next five years, bringing the total to more than 220, despite the dire financial situation of many regional airports. This is according to a report by the country's top aviation regulator. China is in the midst of a major airport expansion, planning four major hubs in the country and developing aviation links to its poorer and more remote regions in the far west. 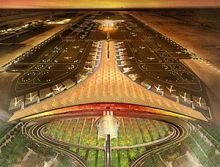 But many of these new airports have struggled to attract customers and languish with just a few flights a week, or none at all. Out of the country's existing 175 airports, around 130 are in the red. In the period to 2015, Beijing will invest 1.5 trillion yuan (about US$230bn) in the aviation sector. Malaysia Airlines has launched MHbuddy which allows any of the more than 500m people who use Facebook to not only book a flight with the airline but to integrate trip details into their social graph, identifying friends who might be sharing flights, or who will be at their destination. Developed by the airline in conjunction with SITA, the air transport IT provider, MHbuddy is an application on Facebook Platform that allows passengers to book and check-in for a flight while sharing their trip details with their friends. As passengers book a flight on MHbuddy, they are reminded which of their friends live at the destination and also told of any that are planning to visit at the same time, prompting the booker to send a message. Travellers can also share their itinerary with friends and suggest the same itinerary to them. With MHbuddy passengers can check in for their flights and during seat selection they are shown the seats selected by any of their friends on the same ‘plane. 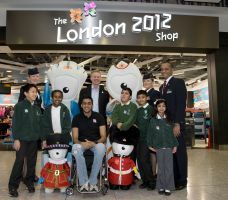 Terminal 5 Heathrow is the home for a new shop dedicated to the London 2012 Olympics. The flagship store is set to give all British Airways (the only user of T5) international and domestic passengers the opportunity to stock up on a piece of sporting history as they pass through the terminal. The shop opening was celebrated with a special in-store screening of the latest instalment of the London 2012 mascot film ‘Adventures on a Rainbow’. During the film Wenlock and Mandeville, the Olympic mascots, meet GB athletes Tom Daley, Shanaze Reid, Mandip Sehmi, Phillips Idowu and Ellie Simmonds, and discover British icons including a Queen’s Guard and a Beefeater. The soundtrack to the film is composed by British composer Thomas Hewitt Jones and has been recorded by talented teenagers from across the UK in the National Youth Orchestra. North London’s new rail link to the City, Docklands and the south of the capital was opened three months ahead of schedule by Mayor Boris Johnson last week. The one and a half mile link between Highbury and Islington station (on London Overground’s Richmond to Stratford Line) and Dalston Junction (on London Overground’s East London Line) will mean passengers on the Victoria Line Tube services or National Rail services stopping at Highbury and Islington can now use fast London Overground services to reach the north, east or south of the capital. It will be particularly valuable for Londoners and visitors heading to Stratford for the London 2012 Games, providing another way for millions of passengers to reach the Olympic Park. Montreal (Canada) is the latest destination for Qatar Airways, the national carrier for the state of the same name. From 29 June Canada’s second largest city will be served with three flights a week on Wednesdays, Fridays and Sundays using the airline’s flagship Boeing 777-200 Long Range aircraft. The non-stop flight from the airline’s hub in Doha to Montreal’s Pierre Elliot Trudeau International Airport will be a total flying time of 13hrs 20mins. The aircraft is two-class. The destination marks Qatar Airways’ first foray into Canada following a series of bilateral negotiations in Doha last year, when the airline secured rights to fly passenger and cargo flights to the country. It is true that the Scots over the centuries have explored just about every point on earth and one is never surprised to come across a connection with Edinburgh in say Hong Kong or Ushuaia at the lowest point of South America. But in Tiberius on the Sea of Galilee in Israel? And very very Scottish. 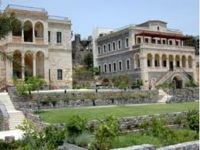 It was in 1999 that the Church of Scotland decided that a redundant mission and former hospital in Tiberius, the ancient capital of the Galilee, should have a future life as a hotel. And not just any hotel, a 69-room boutique property to the highest standards and a living memorial to a family from Airdrie who devoted their lives to the care of all in the land where Jesus Christ had preached 2,000 years before. In 1884 Dr David Torrance came to the city with its background of Hebrew, Roman, Druze, Crusaders and (later) British occupation. The mission he and his family developed became the city hospital and latterly a school. The Scots Hotel opened in 2004 and uniquely combines the 19th century basalt buildings with a modern and up-to-date property of international standards. When planning the hotel, great emphasis was placed on conserving the character of the compound by producing a synergy between new and old and creating an atmosphere of serenity and mystery. The interior decoration combines the historical character of the buildings with the comfort required from a 5-star property. 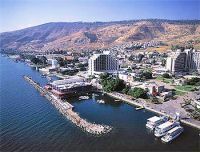 There is internet, a spa, and in the summer a splendid pool overlooking the Sea of Galilee. The food is exceptional, and not kosher, which finds favour with travellers used to bacon and eggs in the morning and not the usual (generous) non-meat Israeli morning offering. Entertainment is provided also although during his visit your scribe found it difficult to reconcile a Scottish atmosphere with English and Hebrew as the main languages with a musical show staged in Yiddish. Getting to Israel is easy and you do not need a visa. 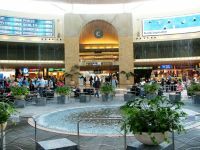 There is only one gateway airport Ben Gurion, and it is as modern as any. Direct flight non-stop scheduled flights are available from Manchester (Jet2), Luton (easyJet and El Al) and also Heathrow (BA and El Al). Alternatively you can also connect via Amsterdam, Frankfurt and most major continental hubs. 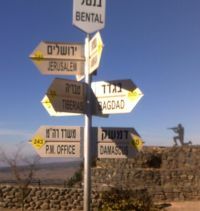 No distances in Israel are that great (Tiberius is just over 100 miles from Ben Gurion), the airport has a large choice of easy to locate car rental booths, and you drive on the right on fine roads built to the highest standards. Whilst there is a military presence it is not obvious and typically in the Golan, to the north on the Syrian border, the local Druze Arabs are prosperous and make you feel very welcome. Likewise in Nazareth, a tourist town. Don’t take your car into Jerusalem. Either join an organised tour, arrive by train, or use the excellent public bus service. Nearly everyone speaks English but if you venture into certain parts on the Jewish Sabbath (that is after dark on a Friday, and daylight hours Saturday) you will not be welcome unless carefully adhering to the stringent religious rules. 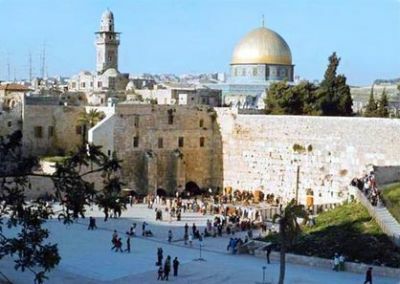 Jerusalem is the City of David, sacred to Jews, Christians and Muslims, each with its place of testament, The Western Wall, the Church of the Holy Sepulchre and the Dome of the Rock and al-Aqsa Mosque, both off limits to tourist visitors. Amazingly the new route into the Old City is via the most modern of pedestrian shopping malls with a 5-star hotel at the street end. A visit to Yad Yashem, the Holocaust Memorial Museum is a must whether you belong to a religion, or are an atheist. It is a stark reminder of man’s inhumanity to man. A new tramway is just being completed which will improve getting about. 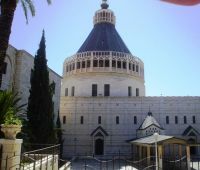 There is the usual hop-on-hop-off bus tour (recommended) and a whole series of walking tours, probably the best one starting at the Mount of Olives, through the Lions’ Gate, the remains of the Bethesda Pools, and onto the Via Dolorosa, the Way of the Cross. The Western Wall is all that remains of the Temple of Herod. It is the symbolic centre of Judaism and all are welcome but do remember to cover your head. A scull cap, called a kippah, is offered gratis. Men and women are segregated. Tradition says you can write a wish on a small piece of paper and place it in the wall crevice. These days you can go under the city walls too, a very interesting visit. Probably best to book via the internet before you leave home. The Scots Hotel sits in the very centre of Tiberius, a bustling market town and an ideal centre for a tour of Galilee and the Golan Heights. It has a history of over 2,000 years, its name derived from the Roman General who came to power soon after the crucifixion of Christ. The artefacts of history surround you with a small archaeological garden in the heart of the city. Yardenit is sited 25 miles south on the slow flowing River Jordan where tradition holds Jesus was baptized by John the Baptist. Here many take to the waters. Two remarkable cities dominate the Galilee, Nazareth and Safed, Christian and Jewish. Nazareth is the home of Christ and today is a bustling town with a 65,000 population 75% Arab, the balance mostly Christian. It is picturesque with winding alleys on a typical Israeli landscape with numerous churches and sites of interest. Dominating the landscape is the Salesian Church with a statue of Christ on the top. It is renowned for its stained glass windows and also its acoustics. It often hosts concerts. The Synagogue Church is inside the local market and is where Christ studied, prayed and declared himself The Messiah. The Greek Church has only two windows whilst the Russian Orthodox complex is now the local police station and is also used by the postal authorities. Safed is one of the great centres of Judaism but is also an artists’ centre and a place to buy jewellery. It is built on a hill with very narrow streets perhaps the world’s first pedestrian thoroughfare. One Synagogue follows another. It is the home of Kabala, Jewish mysticism. 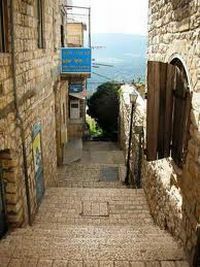 By the time you reach Safed the non-Jewish visitor would have realised that like the other great religions there are different strands, each with its own history and traditions. Ashkenazi Jews are those for whom the Diaspora was the north of Europe, with Yiddish the vernacular, a European mixture but mainly German and at leastn 1,000 years old. Sephardic Jews lived for the most part in what are now Moslem lands. In Israel the official language is Ivrit, or modern Hebrew and dates from the Jewish national movement towards the end of the 19th century. Classical Hebrew is used in traditional houses of prayer. It is rather like comparing today’s English with that of Shakespeare. 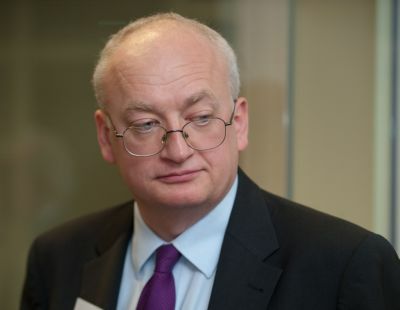 Before founding the independent Nyras aviation business consultancy and investment firm in 2003, Richard Davey was Global Aviation Leader for PWC. With Nyras, Richard has undertaken major business restructuring and transaction assignments for a wide range of airlines, airport groups, aviation services companies and industry investors. Based in the City of London Nyras undertakes assignments around the world. Clearly, there has been enormous – even momentous – change over the last four decades but in so many fundamental ways, the industry is still running on the spot. Take, for instance, the crippling aero-political framework in which airlines have been prohibited from normal commercial development. Sure, we’ve seen progressive deregulation in many market areas but the industry has still not been able to achieve effective global liberalisation. To outsiders, the fact that airlines cannot undertake the sort of international merger and acquisition that other sectors – banking, telecommunications, automotive and even airports – take for granted is baffling. What about the global alliances, you might ask. Fine, they have evident worth but aren’t they are just interim substitutes for the proper, meaningful cross-border consolidation most major airlines are crying out for? The legacy, or mature, airlines that make up the alliances are still collectively and individually trying to address the age-old problems of too much capacity; too much cost; not enough profit; achieving the right scale and coverage; and sheer survival. Low cost carriers which came fresh to deregulated regions, have a different set of challengers: access to markets; growth; strategic advantage; eliminating competition; achieving airport dominance. Right now, the industry is awash with rumour about future deals between airlines – merger and acquisition seems the obvious strategy for both types of carrier. That’s very easy to say but extremely difficult to achieve effectively in the aviation industry. However, it is important to avoid the ‘smoke and mirrors’ behaviour that can often accompany M&A activity. This can be a serious business hindrance – delaying action to address fundamental problems within the business, diverting management attention from the core business and failing to address implementation issues. The deal process is the exciting part and people can get seduced by that activity. Implementation is difficult to get right and this is often not considered until after the deal is done – no deal should be considered until there is a clear idea of what the combined business will look like and how long it will take to implement. I believe firmly that a vital resource for any airline in a period of seminal restructure is honest and straightforward advice that does not gloss over the problems but searches for the right solutions. It’s not a case of telling clients ‘what they want to hear’ but of concentrating on ‘what they need to hear’. Indeed, it is essential that advisers have the knowledge of the aviation industry and the hands-on implementation experience to give well informed advice and develop solutions that will work – generic solutions that have been applied in other industries may, unfortunately, not work in this unique industry of ours. Given the fact that mergers and acquisitions are incredibly difficult to pull off in the aviation industry and restructuring of airlines is fraught with problems, a priority for many airlines is the requirement for honest, independent, down-to-earth advice – even if this means telling clients that a course of action or a particular deal is the wrong solution. • More partnership deals and consolidation will happen. (My company is already working on two potential aviation transactions and advising investors on airline services opportunities). • Some of the smaller legacy airlines in limited markets will exit as funding dries up and be replaced by other carriers. • Weak airlines sitting on significant markets will merge with or be acquired by stronger rivals. • Non core activities – such as MRO – will be spun out and financial investors could be available to take them on. • Airlines with cash on the balance sheet will look to deals underpinned by strategic rationale to take advantage of the uncertainty. If done well, consolidation provides opportunities for the brave and now, with minds focussed on economic problems, is a good time to seek regulatory approval. Airline managements require to be brave and realistic as they grapple with the challenges that our industry throws up and need to ensure that they have honest and knowledgeable advice if they really want to move out of that slow sort of country and get somewhere else. 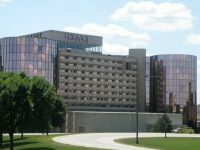 Hyatt is to open its first Andaz hotel in Asia in the summer of 2011. Located in Xintiandi, a landmark entertainment area in the heart of downtown Shanghai, the newly constructed 24-storey building features 307 guest rooms. Air New Zealand (ANZ) and its personnel have been heavily involved with the aftermath of the unprecedented earthquake that shattered the rural city of Christchurch. The airline says that schedules will have returned to normal by today (Monday 7 March). In what was an unpredicted move ANZ offered family members from as far away as the United Kingdom special fares well under those currently available. 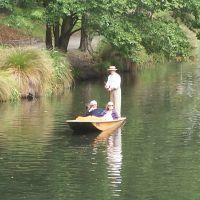 Within New Zealand a domestic standby price of NZ$50 (£23.51) one way on direct services to/from Christchurch is available on a stand-by basis until the end of the month. ANZ said that it has helped support emergency services with vital transport links; moved more than 45,000 people out of Christchurch; and donated around 25 pallets of food, bedding and toiletry items from it own warehouses. Every type of aircraft in the fleet was utilised. IAG (International Airline Group – British Airways and Iberia) has come in for highly critical comments from Flight International, the normally very placid British weekly airline industry magazine. “Since every airline would like to replace less-efficient with more-efficient aircraft Walsh (Willie Walsh, CEO, IAG) is either engaging in wishful thinking or he sees carriers in such distress that they would welcome his call as an opportunity to turn prized assets into desperately needed cash.” What he is saying is, according to Flight, please sell/lease us your fuel efficient twin in exchange for money and one of Iberia’s 36 fuel thirsty four-engined Airbus A340 that came with the IAG package. Haneda Airport Tokyo, very much the home base of Japan Airlines (JAL), was the setting for the official unveiling of the carrier’s latest traditional “Crane” livery last week. A brand new Boeing 767-300ER was the chosen aircraft for the ceremony. 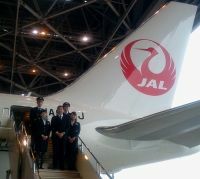 The change in logo was announced last month as JAL continues with its renaissance under new management after it entered the Japanese equivalent of Chapter 11 in January 2010. Accor, the French hotel group that includes Sofitel and Ibis, is further strengthening its Mercure 4-star brand in the UK. 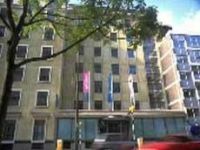 Following a franchise agreement with London Town Hotel Group three properties have been added to the British portfolio, two of which are located in prime central London locations. This follows on from an Accor announcement in January with Focus Hotels. Already this year, these deals combined have increased the number of Mercure hotels in the UK by 13, significantly strengthening the brand in the UK market and bringing the total number of Mercure hotels in the UK to 46. Virgin America has finally announced its expansion into the Chicago market with new direct flights from San Francisco and Los Angeles to be launched in May. The airline has been making noises about launching O’Hare services since its introduction in August 2007. It has been thwarted by both passenger and apron logistical problems but these have now been resolved. Virgin America will offer three times daily schedules to San Francisco and twice daily flights to Los Angeles. What is the best way to get in touch with your long-lost relatives? Elite Rent has added the Aston Martin Rapide, Porsche 911 Carrera and Ferrari 458 Italia to its fleet. The luxury car rental and chauffeur company now includes sites at Barcelona, Frankfurt and Salzburg. Elite Rent says that it sources only the latest models of the finest car brands in the world for its fleet each year with many joining Elite before they are commercially available, ensuring clients can literally test drive their favourite models without having to pay the (sometimes) six-figure price tags. The four-door Aston Martin Rapide is built at a dedicated plant at the Magna Steyr facility in Graz (Austria). Production started last year. 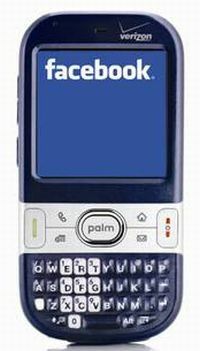 In the USA it is priced at US$200,000. The latest Porsche 911 Carrera, an all-wheel drive two-seater which boasts the driving dynamics and performance figures whilst offering superlative comfort. The Ferrari 458 Italia two-seater won the heart of Jeremy Clarkson on Top Gear, naming it "the best car in the world, ever." Subject to what it calls “a soft launch” easyJet is introducing an innovative holiday package. The new venture will only be available through Teletext and the dedicated easyJet Holidays call centre until the easyjet.com/holidays site goes live later in March. Accommodation for the easyJet venture has been sourced by lowcostbeds.com and visitors to the site will be able to book holidays to all easyJet's flight destinations in 30 countries. 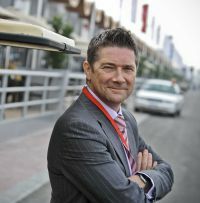 Behind the scenes at the hotel provider is Laurence Hunt, once of SilverJet. 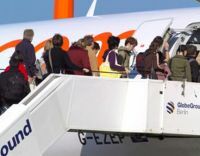 easyJet, with 35% of the total airport throughput and 10,874,129 passengers, tops the Gatwick Airport figures which the airport supplied last week. As previously noted the total throughput was 31,348,110 down 3.1% on the previous year, but things are looking up for the airport with new BA and Virgin routes cited for 2011 and Air Berlin already having moved its Hannover and Nuremburg services from Stansted. However, Qatar Airways will close its Doha route from Gatwick on 31 May. 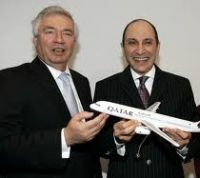 Middle East Airlines – Air Liban (MEA), the flag carrier of Lebanon, has signed an agreement to join SkyTeam in 2012. MEA will be the alliance’s second member from the Middle East, a strategic growth market for the Air France/Delta led grouping. SkyTeam is actively working to strengthen its presence in the Middle East, one of the world’s most important and rapidly growing economic regions. It says that the addition of MEA to the network will enable it to compete more efficiently, not only within the Middle East, but also to and from Western Africa. SkyTeam should open up new commercial possibilities for MEA which has managed to survive through some very difficult times. 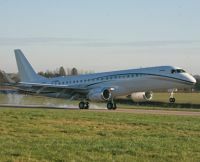 Britain’s Civil Aviation Authority has granted Oxford Airport formal authority for a 21% (896ft/273m) increase in its declared runway length. In practice this means that the airport is open not only to many more types of aircraft, but increases the take-off weight of those already operationally approved. This is good news for operators headed across the Atlantic or for non-stop destinations in the Middle East or beyond. In addition, more regional airliner types can use the airport. ATR, the French/Italian aircraft manufacturer who shares its assembly facility with Airbus at Toulouse, has secured an order for up to 18 ATR 72 turboprop aircraft from Virgin Blue. The deal is part of a recently announced strategic alliance with Skywest Airlines, a Western Australia-based domestic operator. Under the wet lease arrangement, Skywest will provide the technical and cabin crew and source the maintenance provider of the fleet. The aircraft are painted and marketed as Virgin Blue. Virgin Blue Group Chief Executive Officer and Managing Director John Borghetti said that the first four of the ATR Turboprop 68-seat aircraft would be introduced from the middle of 2011, with a further four to arrive next year.